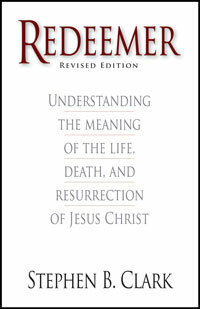 Redeemer provides an in-depth look at the meaning of Christ's redeeming work. It explores what Scripture says about Christ's death as a sacrifice, as a substitutionary punishment for our sins, and as the payment that canceled the debt of sin. It unfolds how Christ's life, death, resurrection, and ascension were effective because, as God's only begotten Son, Jesus was humble and obedient to the Father in completing his redeeming work. Finally, the implications of the redemption are unveiled, as it gives the victory over death and new life in Christ. "In my experience, Redeemer is the best resource I have found in helping me prepare to teach RCIA candidates on salvation, the resurrection, and the ascension of Christ. This past Lent, my pastor asked me to preach a three-evening retreat for the parish on the Pascal Mystery. Again, Redeemer was my most helpful reference. I've read many books on the subject over the years, and I still find Redeemer to be the best to truly understand why Christ's death of the cross was the necessary act needed for our salvation." —Jim Cavnar, president of Cross Catholic Outreach. "Stephen Clark's rich and fascinating exposition of the most magnificent of all biblical themes is an outstanding achievement. Deep learning, deep orthodoxy, and deep insight mark this book throughout. It is both a devotional and an ecumenical milestone." —J. I. Packer, author of Rediscovering Holiness and general editor of the English Standard Version of the Bible.